Shop by Brand - StrongHold Products | Shelving Inc. 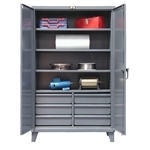 StrongHold produces heavy-duty cabinets and work tables that truly live up to their brand name. 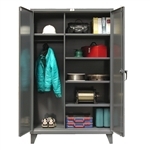 All StrongHold cabinets are made of thick, welded steel frames that make them an option for even the harshest workshops. 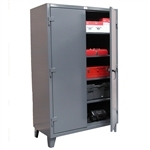 With cabinets that include features such as safety view doors, hanging bins, and pegboard backing, you’ll have no problem finding an option that meets the needs of your workshop. In need of a new workspace? 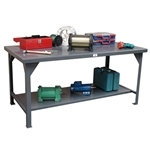 StrongHold also creates highly durable work tables.